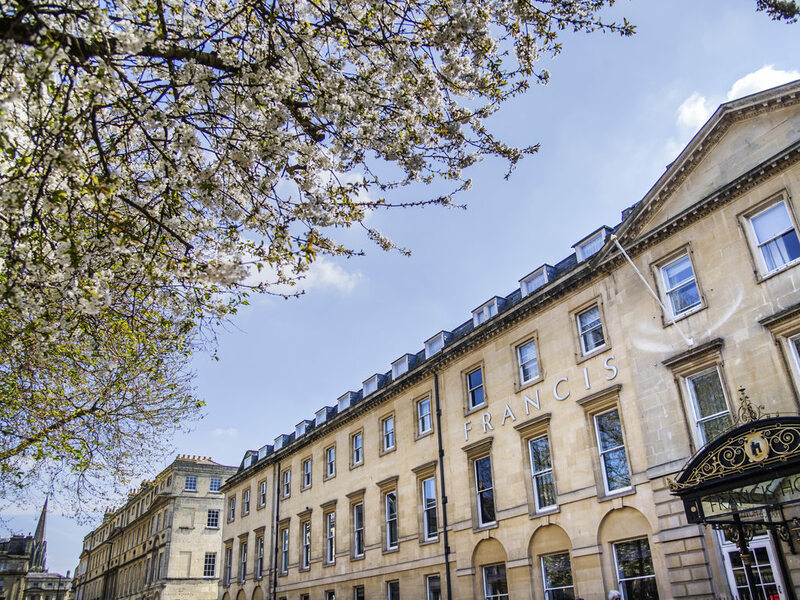 The Francis Hotel is situated in the heart of the historic city of Bath. This beautiful 18th-century townhouse offers views over leafy Queen Square. As a member of the MGallery by Sofitel collection, the hotel will make you feel like your stay is unique. After a day exploring the many attractions Bath has to offer, you can relax and take Afternoon Tea in our Tea Room or sample a cocktail or two in the hotel bar. Situated on Queen Square, the hotel offers the enviable position of being within walking distance of Bath's major attractions including the Roman Baths, Pump Room and Thermae Bath Spa. The hotel has 95 en-suite bedrooms providing style and comfort. Francis Hotel stands in the heart of the historic city of Bath. This beautiful 18th-century townhouse offers views over leafy Queen Square. Part of the MGallery by Sofitel collection, the hotel will make you feel like your stay here is unique. Meet our neighbour, Monsieur Blanc A short stroll through the hotel takes guests into celebrated chef Raymond Blanc's Brasserie Blanc, where the food served is reminiscent of high quality, informal French cooking. Reservations are highly recommended.